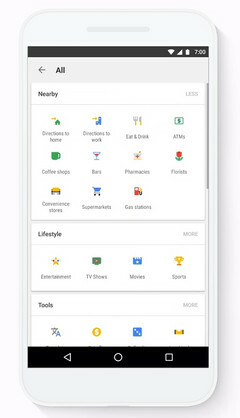 The Google app and mobile site now feature shortcuts to popular topics and services, grouped into cards by function. Android users get exclusive access to Google-specific tools as well as fun mini-games. Access to information is becoming increasingly fragmented on smartphones. Almost every topic has its own app, from weather to travel to general news. Want to see a trailer for an upcoming movie? There's an app for that. The same goes for upcoming concerts, sports games, or other events. There are even apps that sell you tickets for those events. Google wants to end this fragmentation and make access to information and its related services more convenient. Its introduction of "tappable shortcuts" to the Google app and mobile website does just that. 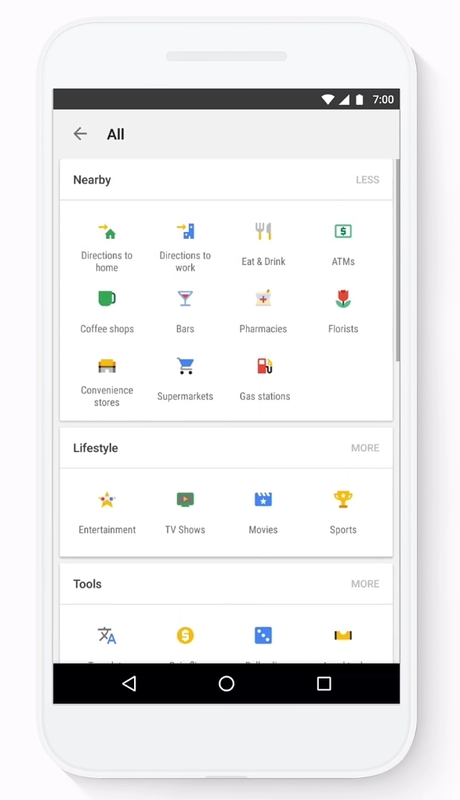 Tappable shortcuts are convenient links to the most popular topics on Google, and they are featured front and center when you open the Google app or mobile site. When you tap one of these shortcuts, a new screen appears that shows you in-depth, up-to-the minute information on the selected topic. For example, tapping the "Sports" shortcut will load a screen that shows the latest scores, trending video clips, and upcoming games. The topic can be customized to show information for your preferred sports and teams. This works similarly for other topics. Although only a few shortcuts are visible at once on the Google app and mobile site homepages, a quick tap on the shortcut strip's right arrow opens a new screen full of shortcuts. Here the shortcuts are grouped into cards according to function. Entertainment, lifestyle, weather—these are some examples. There are even cards for "fun" as well as for Google-specific tools. Speaking of fun and tools, these shortcuts are available exclusively to Android users. They link to various Google tools, such as translate, currency converter, flights, and even an internet speed test. It isn't all work and no play however—there are also shortcuts to games such as solitaire and tic-tac-toe (because who doesn't want to play a little Xs and Os from time to time?). Google even seems a bit proud to include a "favorite": the "I'm feeling curious" shortcut. There is also a card dedicated to personal information, appropriately titled "My Stuff." This card holds shortcuts to your emails, calendar events, hotel and flight reservations, shipped packages, and even personal photos. The My Stuff card makes it much easier to keep track of all of your personal, well, stuff. It's certainly more convenient than having to rummage through a bunch of disparate apps to find what you're looking for. Getting the new tappable shortcuts on your phone is just as convenient as using the shortcuts themselves. Simply update the Google app to the latest version and you're all set! The shortcuts will then appear directly underneath the search box. You can customize them if you like; occasionally new shortcuts will appear to notify you of upcoming events. That's it!